SpotWP is a good fit for an agency or those looking to showcase clients, portfolio items, your company culture and more. This theme includes several custom WordPress page templates and a nice options panel to customize theme settings. SpotWP uses the responsive Bootstrap framework so your website will look good on all devices. 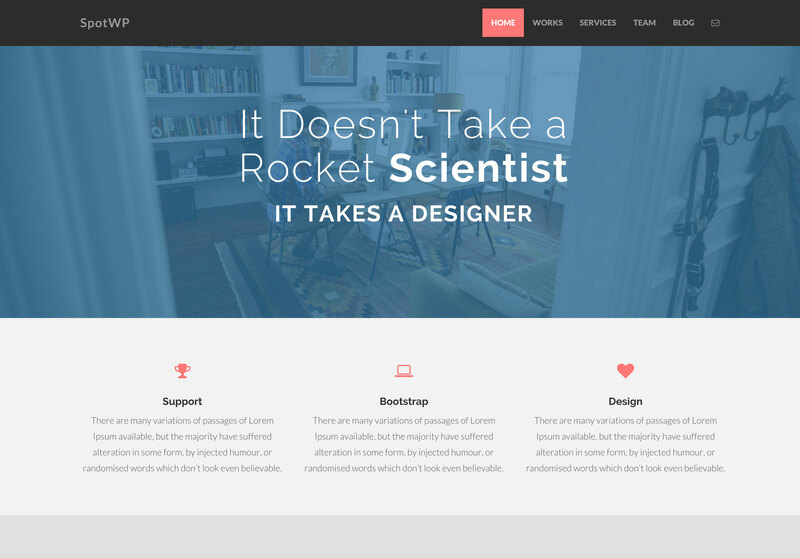 This theme contains seven different page templates for different page layouts.